A Song for Sophie falls into my personal hall of fame. I felt wonderful and over the moon with happiness when I read it. This is a beautiful, delightful, flawless story of two people who would probably never meet, because they do not move in the same social circles and their interests are polar opposites. But some misfortune on the one hand and lucky coincidence on the other brought them together. It was their destiny to meet, and to fall in love. 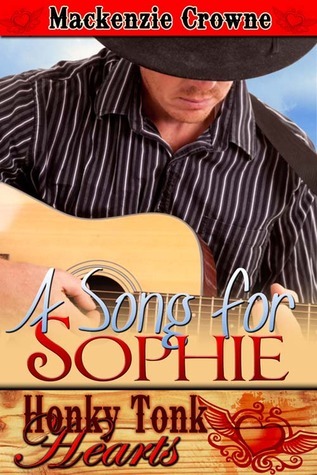 Sophie Taylor is a high school history teacher who is used to living a quiet life, that is until she became the personal assistant of a famous country singer Beaumont (Beau) Walker. But Sophie is not a doormat; on the contrary she is clever, full of wit and she knows how to deal with Beau’s moods and how to put him in place. Beau lives a big life, on the stage and in his private life; he can be moody and he does not know what love is until he meets Sophie. Love makes both of them different, love changes them. I love the way their relationship progressed and developed and the ending is so dramatic, romantic and heartbreaking at the same time. Besides great relationship development, this story has great secondary characters who are alive, three dimensional and funny. I enjoyed A Song for Sophie tremendously. It is so well written. It doesn’t leave loose ends and it culminates in a big satisfying, feel good HEA ending. A must read.